To celebrate Ethan’s 8th birthday with a trip to LEGOLAND Discovery Center Boston. It’s located just outside Boston in Somerville, MA. 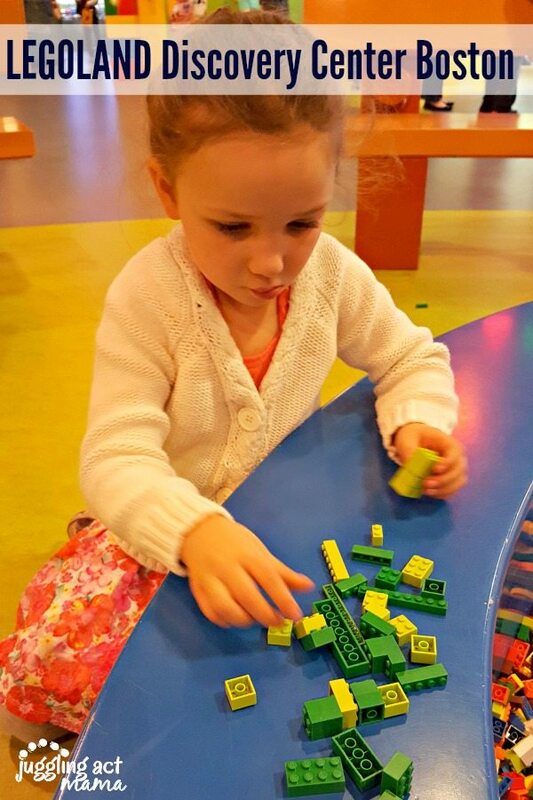 We made an entire day out of the trip, enjoying all that LEGOLAND Discover Center Boston has to offer – which is a lot! There were 4D movies (yes, 4D! ), two rides, plus tons of LEGOs to build with everywhere! We even got to meet the Master Builder, Megan. She showed us some of her latest creations, and how she organizes and stores all her LEGOs. LEGOLAND Discovery Center Boston is open daily at 10 am. Advance tickets are suggested to guarantee admission and can be purchased online at HERE. You’ll want to plan on 2-3 hours minimum to experience all of the fun at LDCBoston. It is extremely family-friendly and fully accessible. There’s a cafe’ on site with sandwiches, snacks and lots of healthy options, but keep in mind it’s geared toward the kids. It’s fairly simple fare. Outside food is allowed, and we brought along our own water bottles. Younger children will enjoy the LEGO DUPLO Farm – a special area just for them with Duplo blocks, climbing structure with slide and more. Our family had an absolutely blast riding the Kingdom Quest Laser Ride. It made for some super fun family bonding time. The kids also really enjoyed Merlin’s Apprentice Ride, which Olivia said was her favorite part. While we didn’t get to experience this ourselves, I was to tell my readers about the LEGO NEXO KNIGHTS coming to LEGOLAND Discovery Center Boston. Guests can download themselves into an all-new 4D film experience starring the LEGO® NEXO KNIGHTS™ at LEGOLAND® Discovery Center Boston beginning Sat. June 11. It’s up to the LEGO NEXO KNIGHTS to defeat the evil Jestro, the Book of Monsters and all their Lava Monsters all set in a 4D world – think wind and water – bringing the battle to life all around the cinema AND guests can go on a quest of their own to discover six shields hidden across the attraction to unlock exclusive ‘power ups’ for the LEGO® NEXO KNIGHTS™ Merlok 2.0 mobile app. While the rides and 4D movies were a big draw, the kids had a blast just building their own LEGO creations. With zillions of LEGOs at their fingertips, they could use their imaginations to create anything. Mr. Juggling Act plopped right down and built alongside them. Which brings me to an important note… adults must be with a child to enter LEGOLAND Discovery Center Boston. However, adults that wish to have some LEGO fun without kids can visit during an Adult Night. Open US only. One (1) winner will be chosen. Prize must be claimed within 48 hours of announcement or a new winner will be drawn. All entries will be verified. This giveaway is in no way associated with Facebook, Pinterest, Twitter, Instagram, Rafflecopter or any other entity unless otherwise specified. 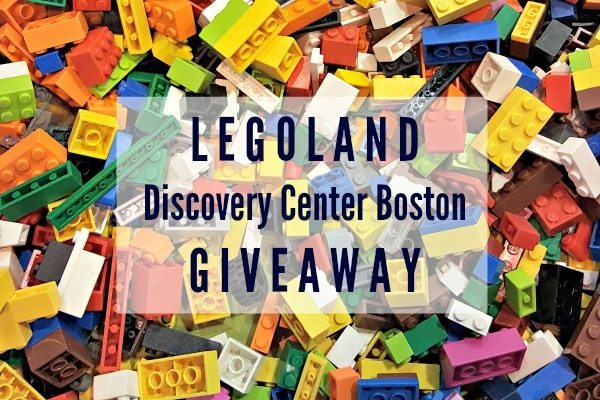 Giveaway is sponsored by LEGOLAND Discovery Center Boston. Please note tickets MUST be used at LEGOLAND Discovery Center in BOSTON and are not redeemable at any other location. Juggling Act Mama not responsible for delivery of prize. Winner should allow 4+ weeks for delivery of prize. Tickets are valid until June 30, 2017. 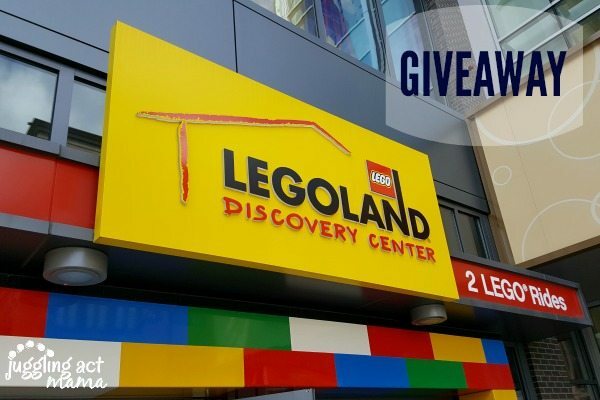 LEGOLAND® Discovery Center Boston is the first and only one in New England. The 44,000-square-foot indoor attraction, geared toward children aged 3 to 10 and their families, features millions of LEGO® bricks and offers a fun, highly interactive and educational two- to three-hour indoor experience. The attraction features interactive LEGO® experiences, LEGO® Rides, LEGO® Studios 4D Cinema featuring the new The LEGO® Movie™ 4D A New Adventure, LEGO® MINILAND featuring replicas of Boston landmarks made out of LEGO bricks, LEGO® Factory Tour, LEGO® Ninjago Training Camp, Space Mission and birthday rooms. Both of my kids are Lego fanatics. They have been wanting to visit this place for a while now! My wife is the biggest LEGO fanatic. We had plenty of bricks before son was born. My daughter and I are huge Lego Fanatics and would love to go to Boston! Sounds like a really cool family trip! Hope I win!